The past five years or so has seen mobile apps take over the world irrespective of the myriad of mobile ecosystems now available to consumers. At the same time, consumers have more or less shifted from using feature phones to smartphones with the exception of emerging markets like Africa where feature phones are still dominant with typically over 90% penetration. However, this status quo is fast changing as Africa is seeing a proliferation of low-cost Android smartphones that are as inexpensive as feature phones. Indeed, it was over the last couple of weeks that I came across a trifecta of credible data that leads me to conclude that now is the time to start deploying local smartphone mobile apps in Kenya as the market for them has finally arrived. 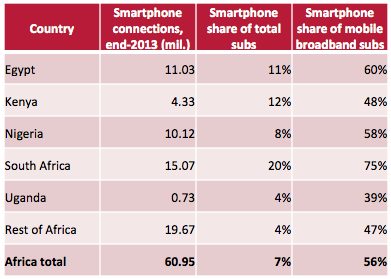 In a nutshell, according to these numbers, Kenya will have 4.33 million smartphone subscribers by the end of 2013. At the same time, overall smartphone penetration will be 12% which will only be second to South Africa and ahead of Nigeria which is truly significant. 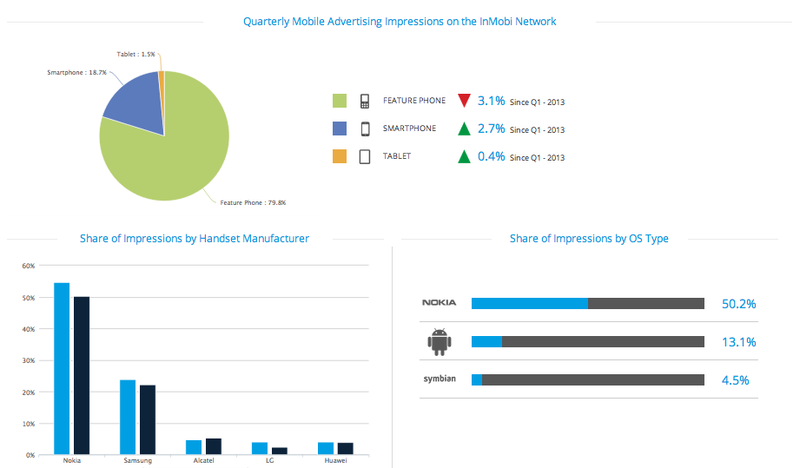 The numbers here again show that Android is now the second most popular mobile OS on their ad network for ad impressions served at 13.1% after Nokia OS (i.e. Symbian S40) and ahead of Symbian OS. In addition, feature phone ad impressions have dropped by 3.1% whilst smartphone ad impressions have gone up by 2.7% and (surprise? surprise!) tablet ad impressions have grown by 0.4%. Most impressive though in these numbers is that smartphones collectively are 18.7% of ad impressions served and tablets are 1.5% for an aggregate of 20.2% whilst feature phones are now down to 79.8%. 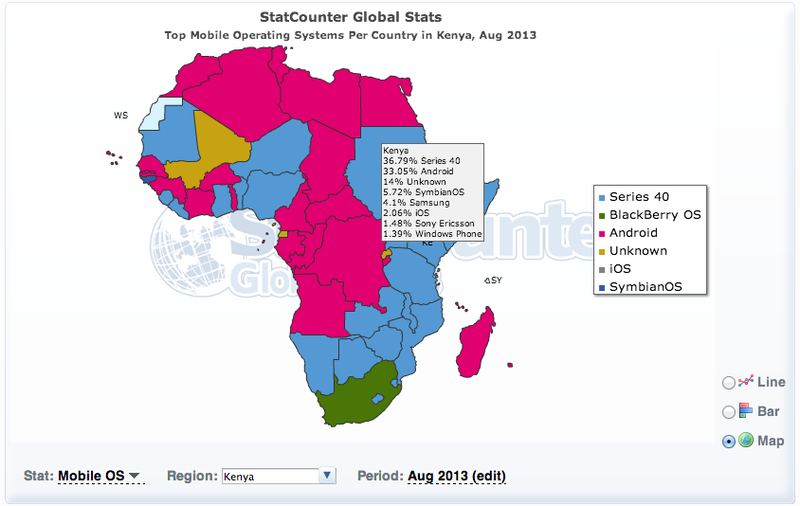 The StatCounter data shows that although Nokia’s Symbian is the most popular mobile OS for mobile traffic in Kenya at 36.79%, Android is a close second at 33.05%. This means that there almost as many Android smartphones as Nokia Symbian 40 feature phones accessing StatCounter web sites at the same time. This is a massive factor to drive more local smartphone mobile apps in Kenya. Kenya's Most Popular Nokia Mobile Devices Through The Years.